Fall weather conditions can be extremely unpredictable. During this period, sporadic rain showers and thunderstorms are fairly common in and around the Las Vegas area. Leaves lying on roads and the occasional showers can create treacherous driving conditions. Tires- The colder weather causes the tires’ air pressure to drop. It’s important that you make sure your tires are inflated properly to maximize safety as well as fuel-efficiency. Fluids- Make sure that all fluids and oil are clean. In addition, check to make sure that all fluids such as the windshield wiper fluid are above/at the minimum recommended levels in order to protect your safety. Windshield wipers– Inspect the wiper blades and ensure they are in a good enough condition to last through the unpredictable fall weather. Pre-drive inspection– This inspection includes things like checking whether all the tires are properly inflated, the fluid levels are right and that all the turn indicators, headlights, and brake lights are working properly. Maintain alertness on the road– Shorter days impact visibility on the roads and this can sometimes create unsafe driving conditions. Being alert while driving helps avoid accidents. Be careful during wet weather conditions– Rainfall and thunderstorms are a common occurrence during fall. Not only does this decrease visibility but can cause hydroplaning too. If you’re caught in very heavy rain, it’s best to simply pull off to the side of the road until the conditions become safer. Ensure that your windshield wipers are functioning well before you start driving in the rain. Avoid sun glare– The sun’s glare can decrease your visibility as it can cause reflections off car hoods and windows. You might need to adjust to the glare depending on whether you’re driving during the morning hours or later in the afternoon. Drive cautiously at night– When you’re driving after dark, ensure you turn on the headlights and that the glass is clean. It’s always a good idea to drive with more space in between you and the next vehicle and also reduce your speed. Dew-laden highways and roads– Shaded patches of roads tend to have far less traction than other sections of it. When you’re driving along tree-lined streets or over bridges, be very cautious. The combination of leaves and dew can prove to be treacherous. Be on the lookout for wet leaves along the roads you are driving on, or even on road lines. Fog- A fog can sometimes buildup in mountainous, hilly or even plateau areas that are surrounded by trees. Fog changes the perception of distance and limits visibility. When encountering fog, it’s important that you slow down. It isn’t uncommon for accidents to occur in these environments. Our Las Vegas injury lawyers find themselves handling a number of cases related to road accidents caused by foggy weather conditions. Fall storms– Sudden heavy rainfall that thunderstorms bring is another aspect to be aware of. Slow down when you’re driving in the rain. Avoid emergency braking. Be more alert and look well ahead when approaching mandatory stop intersections. Break in advance and smoother than usual. 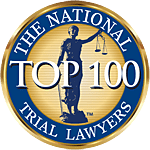 Our brain & spine injury lawyers in Las Vegas find that there is a definite spike in the number of road accidents during fall. Taking these precautions and driving safely can significantly reduce the chances of accidents during this season. Fall and the months leading up to the end of the year are filled with holidays such as Halloween, Thanksgiving, Christmas and New Year. While fall heralds the beginning of the season of joy, it brings with it many stresses as well. Often times, these stressors result in distracted or aggressive driving. Even when you’re being extremely cautious, other people may be driving very erratically and that’s why it becomes important to be alert while driving. 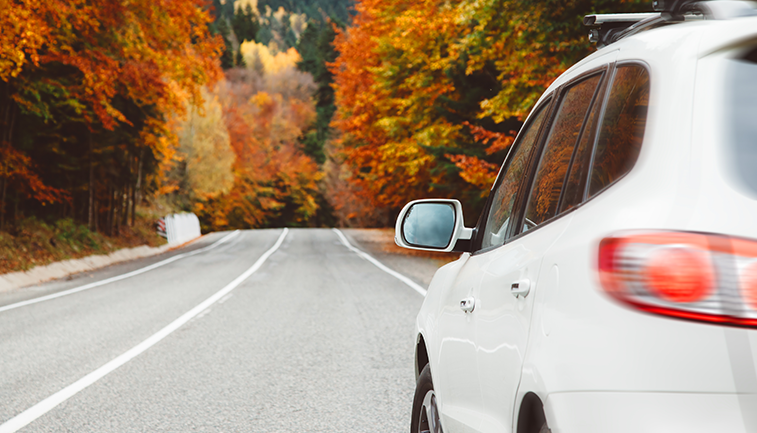 Fall is a fantastic season in Las Vegas and our law firm has discussed these pointers so that you and your loved ones stay safe on the road. However, sometimes accidents do happen and that’s when you need the support of an experienced, knowledgeable and caring Las Vegas injury lawyer. If you or a loved one has been injured in a car accident, contact a personal injury lawyer at our firm. We will work in a determined manner to get the compensation you deserve.